The attack on the Statue of Liberty from the White House yesterday echoes an old pattern of the radical right and extremist Christians. Cherry pick a little bit of accurate history and then crumple it up, sprinkle in a bit of sound-alike association, add a dollop of fear of “the other,” and you, too, can sound like an historical authority supporting completely a-historical interpretations. 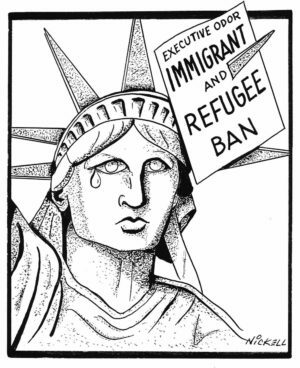 Even though U.S. immigration policies have been anything but welcoming at times, and even though it was not the original intention of the designers, the mythic identity of the Statue of Liberty as welcoming any and all “huddled masses yearning to breathe free” has firmly entered American mythological folklore. And that’s because she appeals to us as a mother, welcoming all comers with unconditional love. 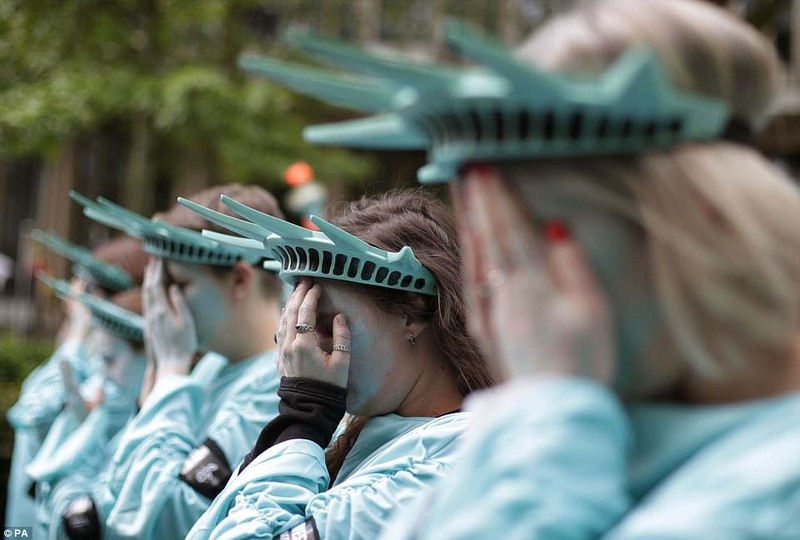 Remember, the Statue of Liberty is hollow – we can fill her with any meaning that appeals to us. And liberty can mean completely different things to different people. Abraham Lincoln pointed out the liberty of the wolf to eat the sheep is in direct opposition to the liberty of the sheep not to be eaten. White Nationalists today are celebrating to hear their popular talking point disclaiming the Statue of Liberty as a welcoming symbol for America getting national coverage from the White House briefing room. Also celebrating are the extremist Christians who hate the Statue of Liberty because she is modeled on a pagan goddess, which they interpret as Satan in disguise. Current Secretary of Energy Rick Perry follows a pastor who has for years called on his followers to tear down the Statues of Liberty and replace them with statues of Christ. Extremist Christians also cherry pick bits of accurate historical symbolism to insert into their bizarre, a-historical, even nonsensical conclusions. Today these zealots are being manipulated by a politically savvy group of right-wing ideologues whose agenda includes the dismantling of all the women’s rights legislation achieved in the past few decades. 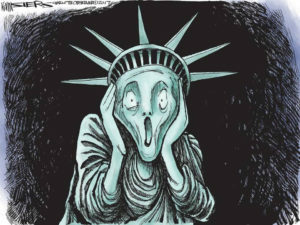 Fear of the American Liberty Goddess disguises a fear of empowered women. White House senior policy adviser Stephen Miller was also technically accurate when he explained that the original designers of the Statue of Liberty created an image to convey the American version of Liberty Enlightening the World. 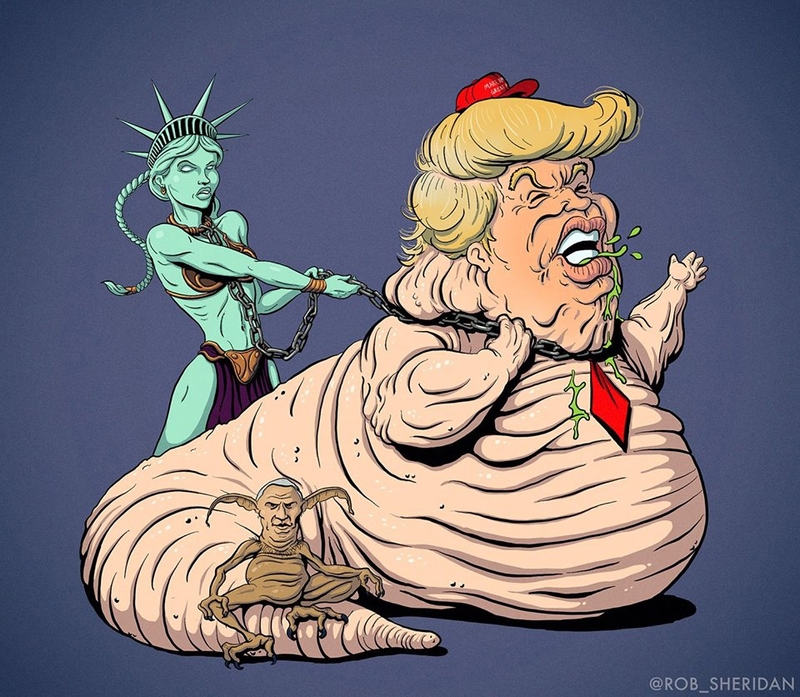 But what Miller could never have included in his cherry-picked factoid analysis of the Statue of Liberty was that powerful symbols like her will always carry layers and layers of meaning. The Statue of Liberty stands for the best that we all believe America can be. She is a strong, divine female, confident in her own power, holding a light for others to find the same freedom she embodies. Her designers meant her to represent the democratic form of a republic where all are equal under the law, and all are free to pursue the religious quest of their choice. These were idealistic Frenchmen in love with the concept of America, and saw it as the best America it could be. They were also steeped in the knowledge that effective symbols have the inspirational power to change history. See many more images like those used in this article in our gallery of Liberty Sightings. P.S. 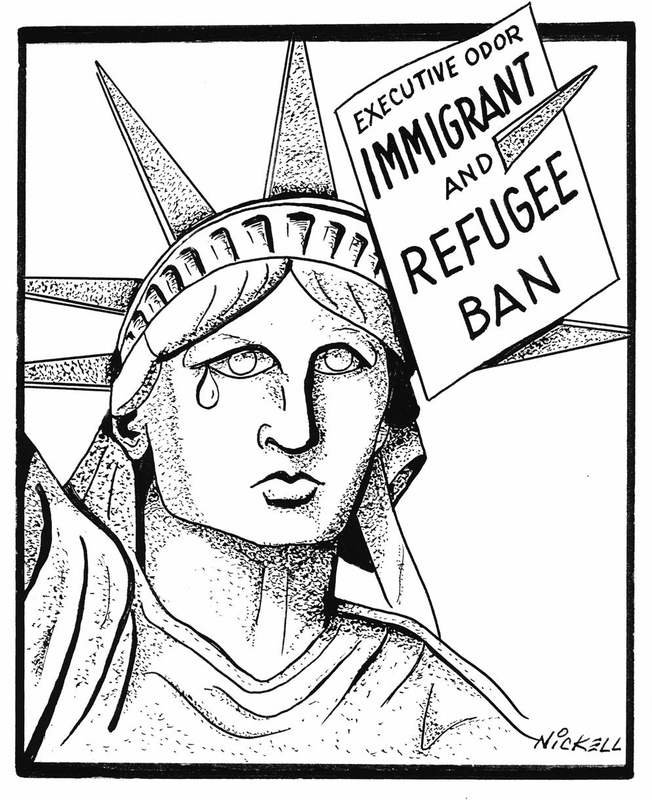 Linking her to welcoming immigrants actually pre-dates the 1903 affixing of the plaque with the Emma Lazarus poem. 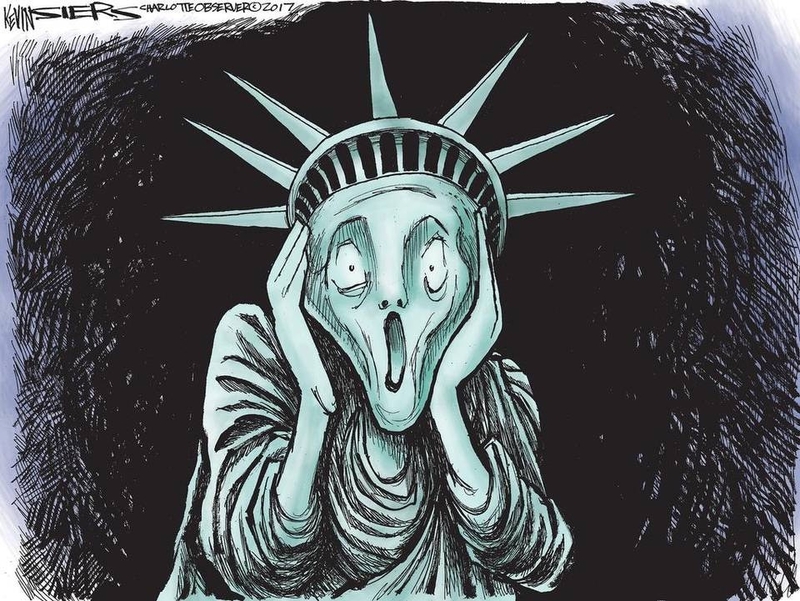 It was the immigrants themselves who made the connection years earlier, and by 1903 they were already retelling their numinous experiences across the generations of how they first glimpsed the Liberty goddess.